No, you’re not dreamin’. For those who follow my writing, you know I love our sport. And I put a lot of focus on all who have contributed to make it the best sport on the planet. For you, I’ve put together a very comprehensive article that outlines the top California wrestlers. From 1973 – 2015, including Dream Team, 2nd Team, 3rd Team, and Honorable Mentions, this has it all! Authors note: This is the only article of it’s kind. (I might even update it in 2020!) Here’s California Dreamin’! Enjoy. California is generally known for its great beaches, weather, the entertainment industry, as well as being the agricultural “food basket” of the world. Unfortunately outside the confines of the wrestling circles, many are not cognizant of the wealth of talent produced in the Golden State. Throughout the forty plus year history of the CIF State Championships, the Golden State has produced its share of the nation’s best high school wrestlers to ever compete on the mat. Many have gone on to earn NCAA, World, and Olympic accolades. They include John Azevedo, Dave Schultz, Stephen Abas, Eric Guerrero, Adam Tirapelle, Darryl Vasquez, Jake Varner, and more recently, Aaron Pico, just to name a few. See ALL-CALIFORNIA HIGH SCHOOL TEAMS 1973 – 2015. Includes Dream Team, 2nd Team, Third Team and Honorable Mentions with Photo Gallery. It has been debated at length within the California wrestling circles, who is the best high school wrestler to ever compete since the inaugural CIF State Championships in 1973? Who would be the top wrestler or wrestlers at each weight group, as well as most decorated decade, CIF Section, city, or school? Caving into my curiosity, I felt it was time to take a closer look, albeit a panoramic view of the last forty plus years. With the exception of Aaron Pico, who is officially attending high school, but competing at the senior international level only, all wrestlers chosen for the All-State lists have graduated from high school. The following is a review of the top 3 in each respective weight group (based on the most popular weight groups competed in since 1973). Please note that the wrestlers selected for these teams were determined based on their accomplishments while competing in high school only (post season Freestyle and Greco-Roman accomplishments inclusive). 1985 CIF STATE CHAMPIONS – A total of 7 All-State wrestlers came from this group. 98 – This weight group consisted of the 95 and 98 pound categories and was competed in from 1973 to 1990. The California Dream Team leader is SoCal’s BRUCE TERRY of Loara H.S. in Anaheim. Selected to the Wrestling USA Magazine Dream Team (WUSA) his senior year in 1979, Terry capped his high school career with back-to-back state championships. Close behind is second teamer CAN TRAN of Arroyo H.S. in El Monte. A 1990 graduate, Tran also won two state titles, received All-American honors at the NHSCA Senior Nationals, and was recognized an ASICS, as well as an Academic All-American with WUSA Magazine. At number three is state champion and two-time finalist, EDDIE GOMEZ of Caruthers H.S. in the Central Valley. A 1985 graduate, Gomez earned the honor of being selected to the WUSA Dream Team. 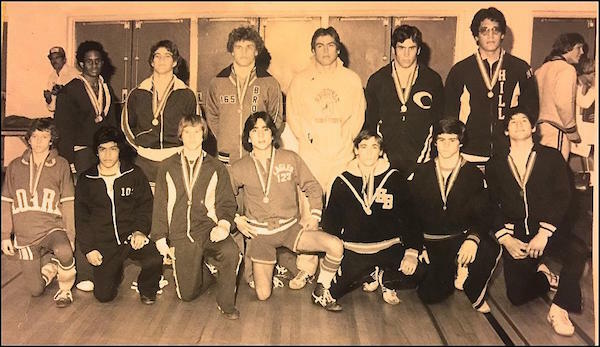 103 – Among the first group of California wrestlers to earn two state titles in the early 1970s, the top Dream Team choice is Merced’s ADAM CUESTAS (class of ’78). Along with two state titles, Cuestas also won the tough Junior Nationals in Freestyle and was selected to the WUSA Dream Team. Close behind is second teamer, JOHNSON MAI of North Torrance in SoCal (class of ’12). Earning two trips to the state finals, Mai achieved three Junior All-American honors in Freestyle, as well as a national championship. Other accolades include WUSA and Amateur Wrestling News Magazine (AWN) All-American honors and being nominated to two ASICS All-American teams. Third team pick goes to the first wrestler to win the CIF State Championships at this weight group in 1973, MIKE FLEMMING of El Dorado H.S. in Placentia. Considered among the top lightweights of his era (OW at 1973 State Championships), Flemming also earned All-American honors at the Junior Freestyle Nationals. 112 – The overwhelming Dream Team favorite at this weight is legendary high school coach and Olympian, JOHN AZEVEDO of Modesto’s Grace Davis H.S (class of ’75). Azevedo was the first Golden State wrestler to earn three state medals; winning states titles his junior and senior year. In addition, he won a Junior National title in Freestyle (co-OW with teammate Joe Gonzales), earned All-American honors twice, and received recognition with both WUSA and AWN Magazine All-American teams. Close behind is second teamer, DAN CUESTAS of Merced H.S. (class of ’77). A two-time NCAA Champion at CS Bakersfield, Cuestas dominated his last two years of high school by winning back-to-back state titles and being recognized on both the WUSA and AWN News All-American teams. Arguably one of the top lightweights to compete in the new millennium, third teamer, BRIAN MORENO of Santa Ana’s Foothill H.S. (class of ’05) won three state titles and ended his prep career with a NHSCA Sr. National title and was selected to the AWN First Team, WUSA Dream Team, and received ASICS All-American honors. SOLID GROUP! 120 – Considered by many as one of the best takedown artists the country has ever known, James Logan’s STEPHEN ABAS (class of ’96) is the overwhelming Dream Team favorite at this weight. A member of the rare 4x state medal club, Abas earned three state titles, an NHSCA Sr. National Championship (OW), Junior National Freestyle title, and all the traditional accolades, which include three ASICS All-American teams and the WUSA Dream Team recognition, just to name a few. At number two is JACOB PALOMINO of Independence H.S. (class of ’01). First to win a state title as a freshman, Palomino made four trips to the state finals, winning three in the process. He also earned NHSCA, ASICS (3x), AWN, and WUSA Magazine All-American honors. Number three is 3x state finalist and one time champion, SHANE VALDEZ of Santa Ana’s Calvary Chapel (class of ’95). A 3x Cadet and Junior All-American, Valdez won the NHSCA Sr. Nationals and earned ASICS, AWN, and WUSA Academic Team honors. 127 – To date, only one wrestler in California history has earned a very rare four state titles and a handful has achieved four championship final appearances. During the 2001 state finals, the California fans witnessed Bakersfield’s DARRELL VASQUEZ deny Jacob Palomino of Independence from becoming the first and made history the following year when he dominated a competitive field to win his fourth. Along with four titles, Vasquez was well decorated by being selected to three ASICS All-American teams, WUSA Academic Team, AWN All-American, and earning All-American honors twice at the Junior Freestyle and NHSCA Sr. Nationals. A strong and well-decorated second teamer is BORIS NOVACHKOV of Fremont H.S. (class of ’07). Along with two state titles, Novachkov was a 6x Cadet and Junior All-American, winning four national titles in the process. In addition, he earned All-American honors twice with ASICS, NHSCA Sr. All-American, and was a First Team All-American with AWN Magazine. Among a handful of 3x state champions, JIMMY AGUIRRE of Clovis is a strong number three choice (class of ’91). In addition to his outstanding state performances, he was an NHSCA Sr. National Champion, Junior Freestyle All-American, 2x ASICS All-American, and was selected to the WUSA Magazine Dream Team. 133 – From top to bottom, this weight group is by far the strongest of them all. Although only competing at the high school ranks his freshman year in order to pursue senior international experience, AARON PICO of St. John Bosco is the Dream Team pick at this weight. Totally dominating his weight group in California and abroad, Pico was the undoubtedly the number one wrestler in the country during the 2013 season. Internationally, he won a Cadet World Championship, as well as two additional world medals at the junior level respectively. A strong number three is NATHAN MORGAN of Bakersfield (class of ’04). Also winning three state titles and a rare four trips to the finals, Morgan was a 4x Cadet and Junior All-American, earning a national title at the Cadet level. Mirroring both Pico and Jackson, Morgan also earned ASICS All-American (3x), WUSA Dream Team, and AWN First Team honors. To emphasize the depth of talent at this weight group, the accolades for the group of ten honorable mention wrestlers include a total of 16 state titles, 28 state medals, 10 national championships, and 53 All-American honors. LOADED WEIGHT GROUP! 138 – The overwhelming favorite at this weight group is 3x state champion ERIC GUERRERO of Independence H.S. (class of ’95). Along with earning four state medals, Guerrero was a 2x junior National Champion and earned five All-American honors overall at the Cadet and Junior levels. His senior season he won the NHSCA Sr. Nationals (Outstanding Wrestler) and made the ASICS First team for the second time (3x AA), as well as earning AWN Magazine All-American and WUSA Dream Team honors. The number two pick goes to 1973 state champion and WUSA Magazine All-American, STEVE BARRETT of Miraleste H.S in SoCal. Post high school, Barrett went on to earn an NCAA Championship for Oklahoma State. At number three is 2x state champion, GLENN COOPER of San Juan H.S. (class of ’76). During his senior year, Cooper won both the Freestyle and Greco-Roman titles at the Junior Nationals. Additionally, Cooper was an AWN Magazine All-American and selected to the WUSA Dream Team. 140 – The TIRAPELLE BROTHERS, Adam, Alex, and Troy dominated the California scene at this weight group for close to a decade (total of 8 state titles). The leader and Dream Team select is the oldest of the three brothers, Adam. 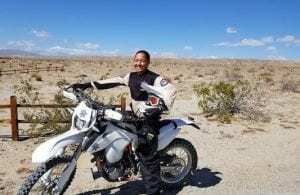 A 1996 graduate at Buchanan H.S. in Clovis, Adam earned two state titles and three trips to the finals, as well as a national title at the NHSCA Sr. Nationals. In addition, he was a 2x ASICS All-American, AWN Magazine All-American, selected to the WUSA Dream Team, and earned four All-American honors at the Cadet and Junior Nationals. Almost mirroring each other’s accomplishments, the number two and three spots go to Clovis graduates, Alex and Troy respectively. Winning three state titles apiece, Alex and Troy were each selected to the WUSA Dream Team and earned All-American honors at the 2001 NHSCA Sr. Nationals with Alex winning a national title his senior year in 2001. In addition, Alex was an ASICS First Team pick, AWN All-American and U.S. team member at the Dapper Dan Classic; whereas, Troy was selected to two ASICS All-American teams and earned First Team honors with AWN Magazine his senior year in 2004. 145 – When the California wrestling fans from the 1970 era and beyond think of successful family surnames, the first to come up in a conversation is the KISTLER BROTHERS, Jackson, Lindley, Harlan, and Marty from SoCal’s Notre Dame H.S. Among the most decorated of the four brothers and Dream Team choice is the youngest in Marty (class of ’81). The first in California history to reach the state finals four times, Marty won state titles his junior and senior year respectively. In addition, he won the Junior Greco-Roman Nationals and during his senior year was selected to both the WUSA Dream Team and AWN Magazine First Team. The second teamer choice goes to Gilroy’s NIKKO VILLARREAL (class of ’14). Villarreal took the state by storm his sophomore year when in the waning last seconds of the third round of the state final, he launched Selma’s Alex Cisneros to his back for five, preventing him from becoming the second California wrestler to win four state titles. The following few years he earned a total of six All-American honors at the Cadet, NHSCA, and FLO Nationals and earned ASICS and WUSA Magazine All-American recognition. At number three is 2x state champion MAX ODOM of Foothill H.S. in Bakersfield (class of ’99). Winning both the NHSCA and Junior Freestyle Nationals his senior year, Max also earned two Cadet Freestyle and two ASICS All-American honors to his credit. Additionally, he was selected to both the AWN Magazine and WUSA Academic All-American teams. 155 – Among the top middleweight wrestlers to ever compete in the Golden State, Valhalla’s MARK GERARDI (class of ’87) is the Dream Team choice at this weight group. Winning three state titles, Mark also earned All-American honors twice at the Junior Nationals and was selected to two ASICS All-American teams. Additionally, he was a WUSA and AWN Magazine All-American. A strong second teamer is 2x state champion and 3x finalist, BRANDON DENNINGTON of Tracy H.S. (class of ’86). Earning four All-American honors at the Junior Freestyle and Greco-Roman Nationals, Brandon also earned ASICS All-American honors and was selected to the WUSA Dream Team and AWN Magazine First Team. A very close pick at number three is Rim of the World’s SCOTT CHAPMAN (class of ’93). A member of a small group of 3x state champions, Chapman also earned two All-American honors at the Cadet Nationals and was an NHSCA Sr. National Champion. In addition to earning two ASICS All-American honors, he was an AWN Magazine and WUSA Dream Team All-American. 160 – This weight group was first introduced at the 1991 CIF State Championships and in the last twenty plus years has produced its share of high caliber wrestlers. The ranking order of the top three at this weight took a great deal of thought, dialogue, and consensus among many of my wrestling colleagues. The achievements of each are nothing less than IMPRESSIVE. The Dream Team choice goes to JASON WELCH of Las Lomas H.S. (class of ’08). Rated as the top wrestler nationally at his weight his senior season, Welch was a 3x state champion and made four trips to the state finals. In addition to earning All-American honors at the Cadet and Junior Nationals, Welch was an ASICS first teamer twice (3x AA) and selected to the WUSA Dream Team and AWN Magazine First Team respectively. The number two and three picks at this weight are virtually equal in talent and accomplishments, but the nod for number two goes to 3x state champion, ISAIAH MARTINEZ of Lemoore H.S. (class of ’13). Earning a total of seven All-American honors, Martinez won three national championships at the Cadet, Junior, and FLO nationals. In addition, he was selected for two ASICS All-American teams, and earned AWN Magazine and WUSA Academic Team honors. Arguably one of the best to ever compete at this weight, the number three spot goes to Santa Fe’s JOEY DAVIS (class of ’12). In addition to winning two state titles, Davis was a 3x finalist and won two titles at the FLO Nationals (Outstanding Wrestler) and earned All-American honors at the NHSCA Nationals. Moreover, Davis was selected to the WUSA Dream Team and AWN Magazine First Team. Currently, Davis is undefeated and in pursuit of his fourth NCAA Division II title and Martinez won an NCAA DI title last season as a freshman. VERY IMPRESSIVE GROUP! 167 – Considered by many to be the best high school wrestler to ever come out of the Golden State and abroad, DAVE SCHULTZ of Palo Alto H.S. is the “OUTSTANDING WRESTLER” for this highly talented group of All-State wrestlers. Although only winning one state title his senior year (three medals overall), it’s what he accomplished during his senior season that sets him apart from his peers. As a result of the timing of Tbilisi (Dave earned a Silver medal), Dave missed the qualifying process for the CIF State Championships, but his coach Ed Hart was able to successfully petition him into the tournament. Competing one weight classes above his normal weight, Dave pinned all his opponents up to the finals where he secured the title with a major decision in the final. Shortly after state, Dave won a title at the U.S. National Open Greco-Roman Championships and was awarded the “most falls in the least amount of time” award. In addition to these great accomplishments, Dave also earned All-American honors at the Junior Nationals and was selected to the WUSA Dream Team, AWN Magazine First Team, and was a member of the US Team at the Dapper Dan Classic. A very strong second pick goes to the first 3x California state champion, DAVID LEE of Bella Vista H.S. (class of ’84). Earning three All-American honors at the Junior Nationals, as well as a freestyle national championship, Lee was also selected to the WUSA Dream Team, AWN Magazine First Team, and was a member of the US team at the Dapper Dan Classic. The number three pick goes to Antioch’s JASON VERDUZCO (class of ’88). Dominating the California wrestling scene his senior year, Verduzco added to his three state finals appearances by pinning or tech-falling each of his opponents in route to his first state championship, as well as being selected to the AWN Magazine, WUSA Dream Team, and ASICS All-American First Team. 175 – A total “commitment to excellence” is what describes the Dream Team pick at this weight group. Winning three state championships and a rare four trips to the state finals, St. John Bosco’s ANTHONY VALENCIA(class of ’15) is among the quickest and most skilled takedown artists the state has ever seen at the upper weights in the last forty years. A quick glance at his resume is a true indication of his commitment to excellence, which depicts a total of nine All-American honors to his credit ranging from the Cadet, FLO to the FILA Junior levels, winning five national crowns in the process, as well as making a FILA Junior world team. In addition, Valencia was an ASICS All-American and selected to the WUSA Dream Team. A strong second pick is 2x state champion, DAN CHAID of Gunderson H.S. (class of ’81). Earning a total of three state medals, Chaid was a 3x Junior All-American and National Greco Champion. Other accolades include being selected to the AWM Magazine First Team and WUSA Dream Team. A very close third choice is REY MARTINEZ of Roosevelt H.S. in Fresno (class of ’78). A 2x state champion and Junior National Freestyle Champion, Martinez was also selected to the AWN Magazine All-American and WUSA Dream Team. 189 – The top three picks at this weight group can be described in one word, “NAILS!” It could also be argued that any of the three deserve the top spot, but as we all know, only one can be chosen. After a well-discussed dialogue and a consensus among my peers, the Dream Team select goes to 3x state Champion, ZAHID VALENICA of St. John Bosco (class of ’15), the younger brother of Anthony at 175s. Similar to Anthony, Zahid earned a total of seven All-American honors, winning three Cadet, two Junior Folkstyle, and FLO National Championships in the process. Dominating his weight group from coast to coast, Zahid was selected to the WUSA Dream Team, AWN Magazine All-American team, and ASICS First Team twice, as well as earning “Wrestler of the Year” in 2015. Moreover, Zahid became only the second wrestler to win the nation’s toughest high school tournament, Walsh Ironman in Ohio four times and earned a trip to the FILA Junior World Championships. Incredibly, Zahid began his high school career at 103s and never lost ground as he grew into this powerful weight group. A very strong second team selection goes to 3x state champion, MORGAN MCINTOSH of Calvary Chapel (class of ’12). In addition to winning four state medals, McIntosh won two FLO National (OW) and one Junior Freestyle National titles. Adding to his already impressive resume, he was selected to three ASICS All-American teams, earning First Team and “Wrestler of the Year” his senior year. Moreover, he was selected to both the WUSA Dream Team and AWN Magazine First Team. Virtually parallel in accomplishments, the number three select is Bakersfield’s JAKE VARNER. A 2x state champion and 4x medalist overall, Varner earned a Cadet, two Junior Freestyle, and an NHSCA Sr. All-American honor his senior year. Along with earning First Team selection with AWN Magazine, Varner was also selected to two ASICS All-American teams and the WUSA Dream Team. 195 – This weight group consists of the 191 to 195 classifications spanning the last forty plus years. Two out of the top three are products from the early years of the CIF State Championships. The Dream Team select is ERIC WAIS of Woodland H.S. in the Sac-Joaquin Section (class of ’76). Among the first group to earn two state titles, Wais was a 2x Junior All-American in each style and selected to both the AWN and WUSA All-American teams. At number two is South Bakersfield’s MIKE BULL, the first wrestler to win the CIF State Championships in the 191-weight group in 1973. Winning the Junior Freestyle Nationals between his Junior and senior seasons (Between Junior and Senior year placed fourth in Greco Olympic trials at 17 years old), Bull was selected to the WUSA Magazine All-American team. A solid pick at number three is 2x state champion, ZACH COOPER of Canyon H.S. in SoCal (class of ’90). Earning All-American honors at both the Cadet and Junior Nationals, Cooper was an NHSCA Sr. National Champion and selected to the AWN Magazine and WUSA Dream Team. 220 – The wrestlers selected for this group consist of the 200, 215, and 220 weight classifications with JERAMY SWEANY of Vacaville being the Dream Team top pick. Earning two state titles and three medals overall, Sweany was a 3x Cadet and Junior All-American in Greco-Roman and earned All-American status at the FLO and NHSCA Nationals. In addition, he was a 2x ASICS All-American and selected to the WUSA Academic Team. Another tough competitor at this weight is 2x state champion, WILLIAM “TANK” KNOWLES of Calvary Chapel (class of ’11). Accumulating a total of five All-American honors at the Cadet, Junior, and FLO Nationals, Knowles was also selected to two ASICS All-American teams and received All-American status with AWN and WUSA Magazines respectively. A very close number three select is RYAN FLORES of Buchanan H.S. in Clovis (class of ’07). A 2x state champion (3x placer), Flores was a Cadet Freestyle All-American and runner-up at the NHSCA Sr. Nationals. He also received All-American recognition twice with ASICS and was an AWN Magazine and WUSA Academic Team All-American. HWT – The Dream Team select at this weight, NICK NEVILLS of Clovis (class of ’14) is hands down the best heavyweight to ever compete in the Golden State and there have been some great ones. Winning the CIF State Championships as a freshman etched his name in history as the first to accomplish this feat at heavyweight. Falling short of winning four state titles, Nevills finished his high school career with three and a national title at the FLO Nationals (2x All-American). During his senior season, he was rated the top heavyweight in the country and was selected to the ASICS First team, WUSA Dream Team, AWN Magazine All-American Team, and represented the U.S. team at the Dapper Dan Classic. Prior to the arrival of Nevills to the scene, TRENT BARNES of Clovis West H.S. (class of ’86) was the leader at this weight. Winning two state titles and three medals overall, Barnes earned all the top accolades his senior year by being selected to the ASICS First Team, WUSA Dream Team, and AWN Magazine First team. A strong representative at number three is 2x state champion, DARIN PREISENDORF of American H.S. (class of ’92). A double All-American at the Junior Nationals, Preisendorf also earned All-American honors at the Cadet Nationals and was selected to the ASICS All-American team, AWN Magazine and WUSA Dream Teams. JAMILL KELLY ’95 – Atwater (4th State), 2004 Olympic Silver medalist. The CIF State Championships has long been known by the masses to be among the toughest high school state tournaments in the country to win (one division with 850 plus schools), let alone earn a spot on the medal stand. As a result, there have been many young talented wrestlers that did not win state, earn a high medal or even qualify through the month long grind to compete. Nonetheless, they continued their respective careers at the collegiate and international levels only to achieve success by winning an NCAA title, earning All-American honors, as well as making an Olympic or World team. A percentage of these wrestlers were not highly recruited out of high school, but gained great success beyond their prep careers. They include JOE GONZALES (NCAA Champion/Olympian), DEREK MOORE (NCAA Champion/OW), GARY BOHAY (NCAA All-American/World Silver Medalist), JAMILL KELLY (Olympic Silver), MARK SCHULTZ (3x NCAA Champion/OW/2x World and 1x Olympic Gold), GERRY ABAS (4x NCAA All-American), QUINCY CLARK (2x NCAA All-American/Olympian), ADAM WHEELER (Olympic Bronze), and STEPHEN NEAL (2x NCAA Champion/World Champion) to name a few. As stated prior, I have spent the last several months performing extensive research and generating an accumulation of detailed statistics in order to provide me with the means to take a close, yet panoramic view of the last forty plus years to generate this article. As a result, it was no surprise that the Southern Section produced the largest number of wrestlers recognized with a total 72 out of 221 (33%); whereas, at number two the Central Section produced 54 (24%). The first decade of the new millennium just edged the 1990s with a total of 58 to 55 recognized wrestlers. To a moderate degree, the 1970s performed very well considering it was a partial decade of seven years (began in 1973), by producing a total of 30. The Dream Team produced the largest sum of individual championships with 41, followed by the Second Team at a close 38 and Third Team at 35. As expected, Clovis, Bakersfield, and Calvary Chapel High Schools each produced the greatest number with 10 wrestlers apiece; whereas, other state powers, such as Gilroy with 6 and Poway with 5 respectively. The TRAC league in the city of Clovis produced an incredible 19 recognized wrestlers. Traditionally, a large number of brother groups performed well through the last four decades and represent these teams. They include the following surnames, Abas, Blanco, Cadwallader, Cuestas, Halsey, Kistler, Lawson, Nevills, Novachkov, Schultz, Tirapelle, Trujillo, Valdez, and Valencia. At the collegiate level, a total of 48 wrestlers earned All-American honors (18 individual national titles), 5 at the Division II level (2 individual national titles), and 1 apiece at the Division III and NAIA levels. Finally, the top 3 and honorable mention groups produced a total of 8 Olympians (Dave Schultz – Gold, Jake Varner – Gold, and Stephen Abas – Silver). Ironically, it was the “Most Improved” group that produced the largest number of Senior World and Olympic level competitors with 10 (includes 4 Gold, 3 Silver, and 1 Bronze medals), along with a total of 32 All-American honors at the Division I level (8 individual titles). This project has been a labor of love for me and long overdue. In terms of putting together a comprehensive list of California’s elite, this spans the last four decades since the inaugural CIF State Championships in 1973. It is my hope that this historical All-State listing will enlighten the neophyte as well as todays wrestling fan to the vast wealth of talent that has been produced in the Golden State. It will likely continue to produce so in the years to come. Additionally, I expect and encourage a great deal of dialogue and debate to be generated among the California wrestling circles and abroad. Bring it on, lets discuss! A special “Thank you” goes out to Bill Grant, Jeff Roberts, Michael Cho, the many coaches and fans who have provided me a peer review and critique of my work. I definitely could not have done it without your wealth of knowledge and insight. The future looks bright in California and sometime in the near to distant future, I will possibly put together a fifty year anniversary All-State list integrating tomorrow’s top tier prep stars. Let the dialogue and debate begin! 1995 CIF State Champions – Produced 4 NCAA D1 Champions: Stephen Abas (Dream Team), Adam Tirapelle (Dream Team), Eric Guerrero (Dream Team), and Mark Munoz (HM). 2011 CIF State Champions – Produced 13 All-State wrestlers, 6 NCAA All-Americans, and 3 NCAA Champions (Davis – 4x DII, Martinez – 2x D1, and Garrett – 1x D1). Visit ALL-CALIFORNIA HIGH SCHOOL TEAMS 1973 – 2015. Includes Dream Team, 2nd Team, Third Team and Honorable Mentions with Photo Gallery. AL FONTES “aka, Coach Al” has over 38 years service in the sport of wrestling. He has served as the California State Editor of the California Wrestler Newsletter since 1995. He has also been a contributing editor for several national wrestling publications and websites (Wrestling USA Magazine, Amateur Wrestling News, WIN Magazine, InterMat and theMat.com). 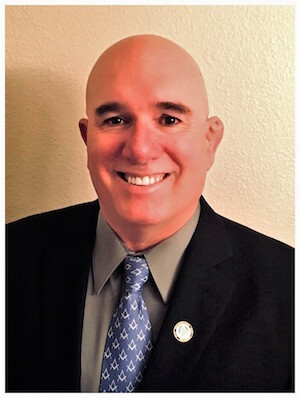 His awards include Wrestling USA Editor-of-the-Year, WUSA Man-of-the-Year, and at the 2001 CIF State Championships, he was given the Irv Oliner Award for contributions to California wrestling.